Home > News > 1.2 million mobiles & batteries recycled. Nice job! 1.2 million mobiles & batteries recycled. Nice job! 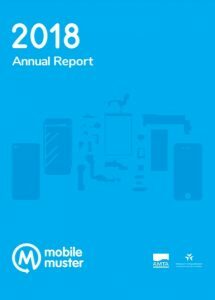 In 2018 the program collected and recycled 90 tonnes of mobile phone components which equates to 1.2 million handsets and batteries. Recycling programs, like MobileMuster, play a critical role in the circular economy by recovering the useful resources from mobile products when they reach the end of their lives. This year the program continued to grow collections for the fourth year in a row. We collected and recycled 90 tonnes of mobile phone components which equates to 1.2 million handsets and batteries. Delivered 70,000 meals through our OzHarvest partnership. The partnership tackled two of the fastest growing waste issues in Australia whilst providing an added incentive to motivate people to recycle their mobile phones. Launched our Mobile Connections education program which provides the next generation with the knowledge and skills to take positive action for sustainability and become advocates for the program. Provided over 200 devices to Able Australia helping deaf blind people stay connected with their community. Increased industry participation with over 90% of manufacturers and 84% of network carriers part of the program. Maximised the materials that can be recovered from the recycling process with a 99% resource recovery rate. Continued growth of the Mobile Muster collection network with 3,500 public drop off points across the country. The industry has invested almost $45 million into the program which has recycled over 13 million handsets and batteries since it was established in 1998. Over this time we have collected and recycled 1,412 tonnes of mobile phone components. Read more in our 2018 Annual Report.